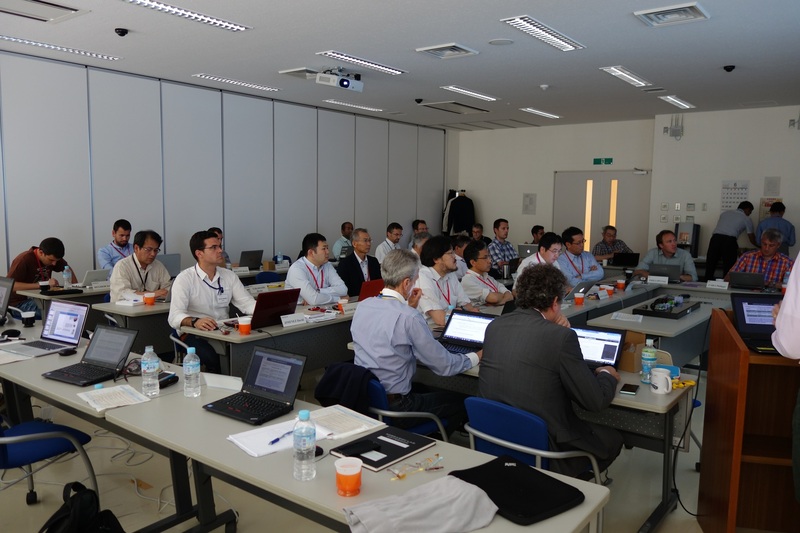 The 7th LIPAc Technical Meeting (LTM07) was held at Rokkasho, BA site Fusion Research Center (Japan) from 15th to 17th June 2015, and on the following two days Satellite meetings with more detailed technical discussions were held. 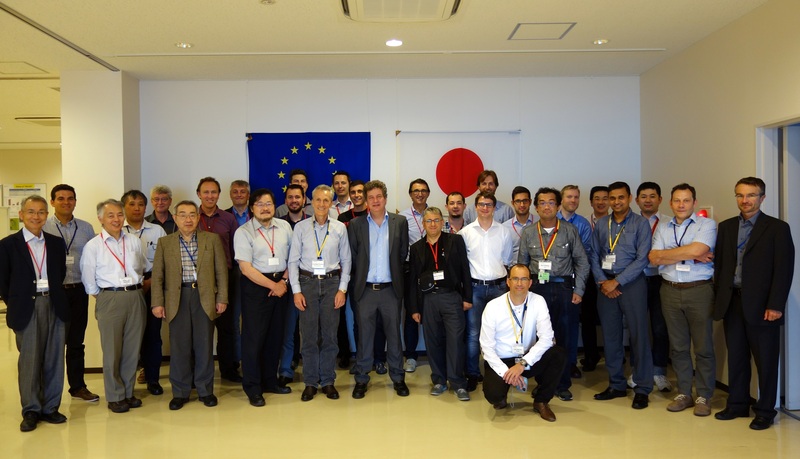 More than 40 experts from CEA (Saclay, France), INFN (Legnaro, Italy), JAEA (Rokkasho, Japan), CIEMAT (Madrid, Spain), F4E (Garching, Germany)and the IFMIF/EVEDA Project Team attended the meeting with additional European experts contributing remotely by videoconference. The technical information that was presented at the meeting highlighted the significant progress achieved for the various components since the last LTM06 in November 2014. A particular highlight was the positive results that are presently obtained from the Injector commissioning as shown by the operation leader, Yoshikazu Okumura. The Injector commissioning resumed on April 22nd with the objective to complete the phase A1.2 (H+ beam, energy 50keV,variation d.c.,UIE,Itot) including the characterization and optimization of the proton beam. 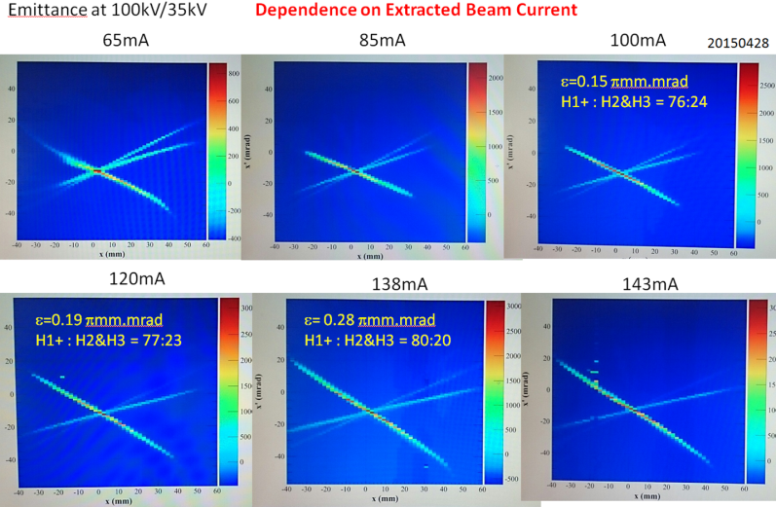 Performances of 100kV/155mA @ 20% duty cycle were reached during this campaign, allowing optimization of the beam emittance. Continuous wave (CW) operation was also tested successfully at 120 mA/100 kVeV, with 650 W RF power and SCCM gas flow rate. The next important step is expected in July with the proposed start of deuterium operation (phase A1.3) after the Facility inspection by Radiation Authority. Installation of transformers and the HV breakers on the electrical platform has started with JAEA contractor NKK. The contract for the remaining cable trays will be launched soon. 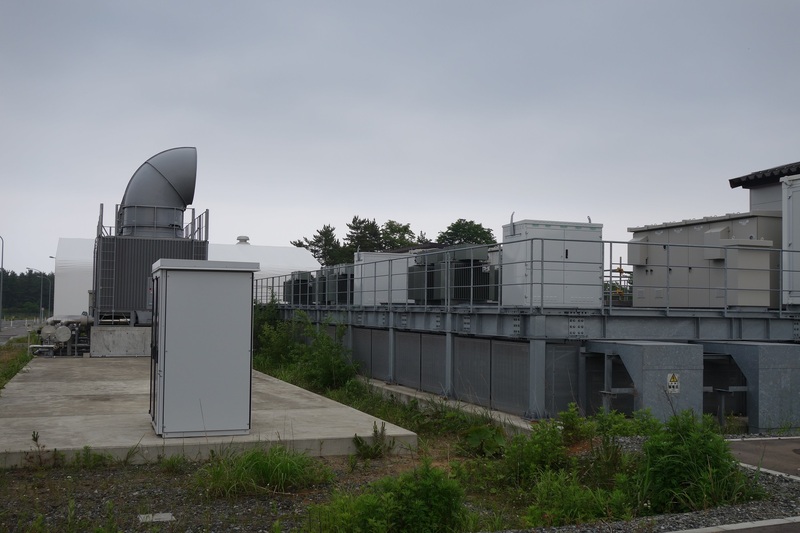 The delivery of the HVPS and RF power system for the RFQ is expected by the end of July 2015 at Rokkasho and its installation will take place upon its arrival. The RFQ super modules are nearing completion at INFN Legnaro (Italy) and will be shipped in December 2015 after the final acceptance test at Legnaro in November 2015. Cooling skid, piping and accessories will be shipped by the end of September 2015. 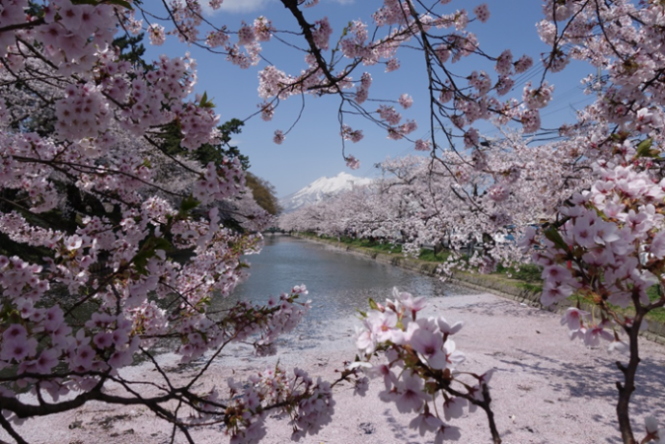 The remaining components will be shipped to Rokkasho by February 2016. MEBT: much work has been completed in the last months to finish the manufacturing and the tests of the main components and auxiliaries. 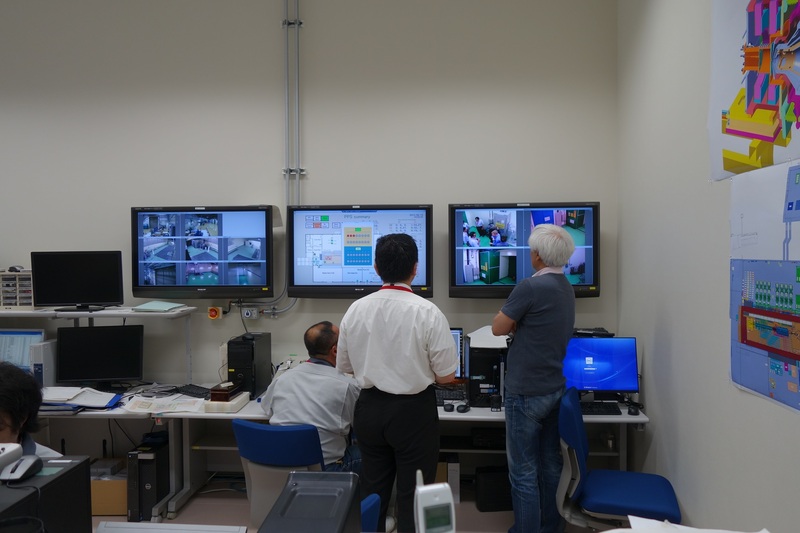 CIEMAT continue to push to have the beamline integrated for test by the end of this summer, with the aim to have the MEBT delivered to Rokkasho at the beginning of 2016. The LPBD detailed design is on going, was showed in the presentation its readiness for construction. Details for its cooling system were also discussed during the LTM. The SRF Linac design is completed and manufacturing contracts for the critical components have been placed. The licensing activities are on-going. The D-Plate is almost completed and will be ready for shipment by November 2014. Some activities of alignment of the components need to be confirmed by ensuring the reproducibility of the ideal accuracy expected. A site visit of the Accelerator Prototype Building was held, giving all attendees the opportunity to visit the vault and the RF area. 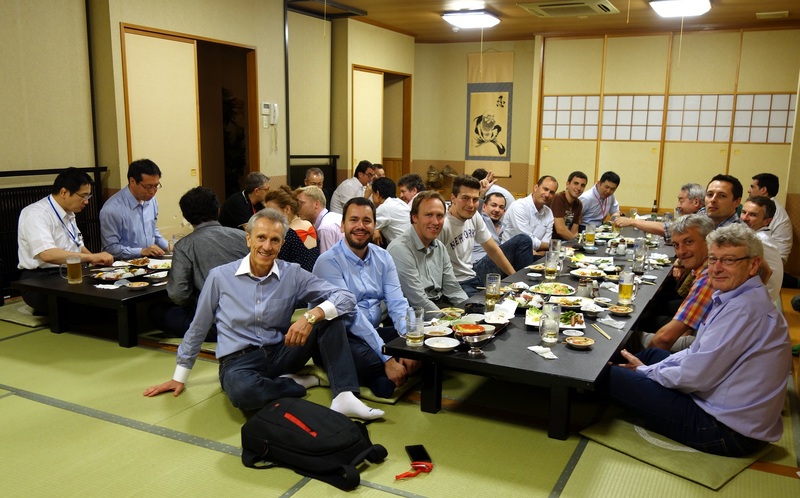 A pleasant event on the second day of the meetings was organized in a typical Japanese Restaurant in Rokkasho called “Darumaya”. See you next LTM08 in Garching! LTM08 will be held on Tuesday 24th, Wednesday 25th and Thursday 26th of November 2015.